The Shameful Legacy of Gold Mining in South Africa. 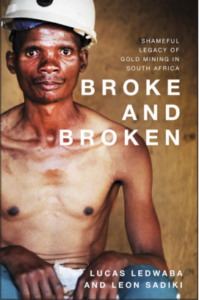 This is the shocking tale of thousands of men who for years were exploited in the Gold Mines of South Africa. This is the tale about those miners all over the World who return home as shadows of their former selves, broken by the ravaging illness of silicosis. Mokete Bokako has a speech defect which was allegedly caused by complications from silicosis. He worked in South Africa’s gold mines for many years before he was retrenched. He now lives alone in poverty in Roma, Lesotho. Mthobeli Gangatha was told to ‘go home and die’ in 2001 when he was 37 years. He now owns a small grocery store in his native village in South Africa.